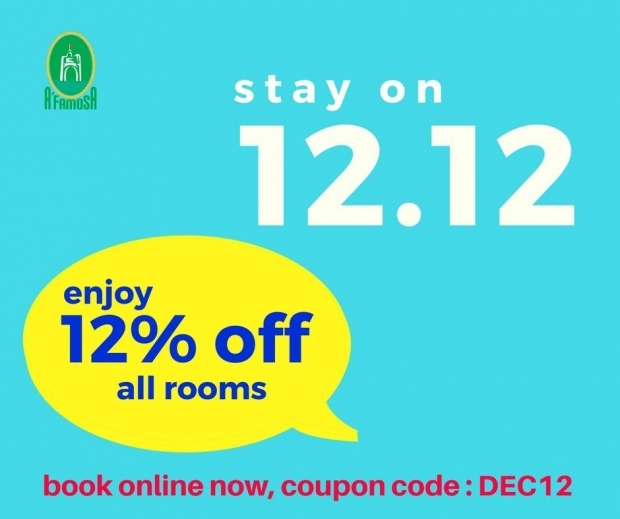 Enjoy 12% all Rooms, stay with us on 12 Dec 2017. 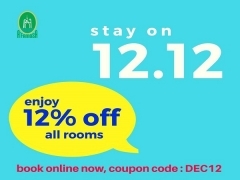 Book online now and use promo code 'DEC12' to enjoy this offer. Terms and conditions apply. 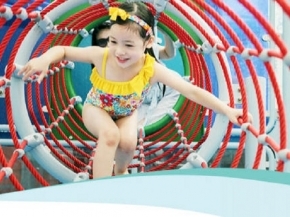 Check out A'Famosa Resort Facebook Page for more details about this offer and to book your accommodation now!